Redskins linebacker Brian Orakpo can thank the Green Bay Packers and Chicago Bears for an all-expenses-paid trip to Hawaii during the last weekend of January. 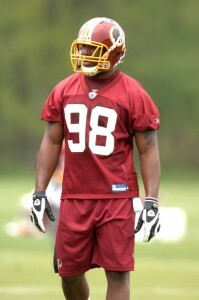 Because both teams won on Sunday, it means that Orakpo will now be playing in the 2011 Pro Bowl that weekend. 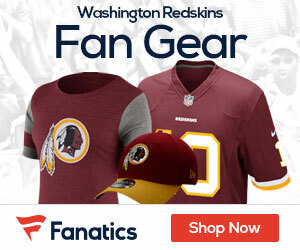 Orakpo was originally designated as a “First Alternate” in the NFC at Outside Linebacker, behind DeMarcus Ware of Dallas, Clay Matthews Jr of Green Bay, and Lance Briggs of Chicago. However, because either the Packers or Bears are guaranteed to be playing in Super Bowl XLV – one weekend after the Pro Bowl – either Matthews or Briggs will not be heading to Hawaii. Orakpo, then, will be taking the place of whichever player whose team will be playing in the Super Bowl. One of the main reasons the Redskins switched to the 3-4 defense under Mike Shanahan and Jim Haslett’s watch was to unleash Orakpo from the outside linebacker spot, instead of him rushing from the defensive end spot in a 4-3 defense. While he remained the biggest pass rushing threat on the team, Orakpo took a step back in 2010 after a stellar rookie campaign. He lead the team with 8.5 sacks (2.5 less than the year before), but missed many more opportunities due to numerous instances of being held by opposing offensive linemen (of which penalties were rarely called for). Orakpo will be joining cornerback DeAngelo Hall as the lone representatives for the Redskins. Fullback Mike Sellars was also designated as a first alternate in the NFC. Chris Cooley and London Fletcher were second alternates, as was linebacker Lorenzo Alexander as the designated Special Teams player. The 2011 Pro Bowl will be played on Sunday, January 30th. Kickoff is scheduled for 7:00pm.